Bengaluru: The Cauvery Water dispute between both the State of Karnataka and Tamil Nadu. It led the violence activity on both of the State till Today on September 12, 2016. The Supreme Court modified its previous order and says today as Karnataka government to release 12,000 cusecs of water instead of 15,000 cusecs till September 20. Because of this order, the Pro-Kannada activists involved in the Violence again today. The Cauvery Water Issue is one of the biggest issues today. The Central Government and the State Government should need to take action on it to control the violence on both of the state. On September 9th, the Karnataka has completely shutdown due to the Supreme Court order on Cauvery Water Issue. Today, according to the ANI reports: The Section 144 has not been imposed to any locations of Bengaluru, Karnataka. Here we provided the recent incidents Photos and Video from ANI twitter. Pro-Kannada activists set a vehicle on fire in Bengaluru during Protest over Cauvery water issue. Protest over Cauvery water issue: Pro-Kannada activists vandalise & set vehicles on fire in Bengaluru. 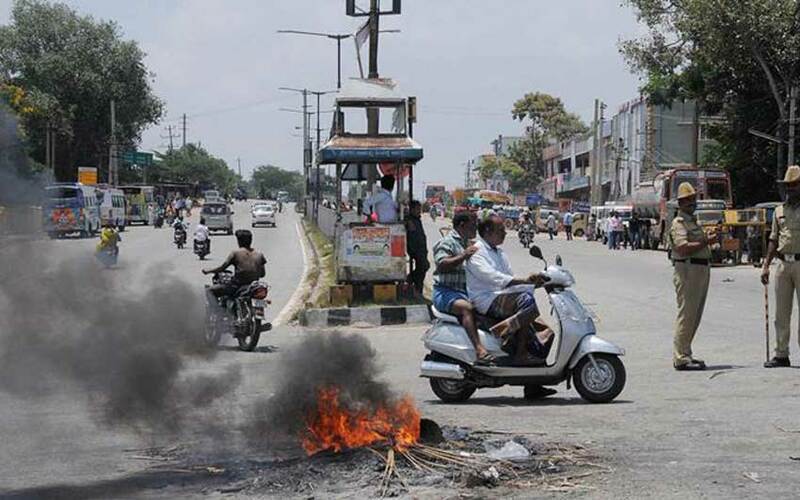 Cauvery issue: Pro-Kannada activists vandalise shops at a bus stand in Bengaluru, from where buses leave for Tamil Nadu. Bengaluru: Pro-Kannada Protester says “I didn’t break much, just a little bit”, during the protest. Cauvery water issue: Police lathi-charges protesting pro-Kannada activists in Bengaluru. Protest over Cauvery water issue: Pro-Kannada activists vandalise vehicles in Bengaluru. Yesterday, a 22-year-old engineering student has beaten by the group of youth in Karnataka. The Engineering Student allegedly posting derogatory remarks about Kannada film stars on Social Media.